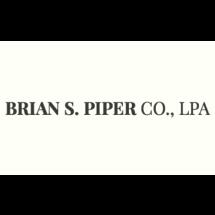 Dedicated to helping families in Westerville and Columbus, Ohio, Brian S. Piper CO., LPA , serves clients throughout the central part of the state. We focus on family law cases such as divorce, child support, child custody, domestic violence, prenuptial agreements and adoptions. Our law office is also committed to guiding clients through issues such as estate planning, criminal defense, real estate transactions and small business planning. • Our attorney has an Avvo "Superb" rating. • We take a compassionate approach, as the cases we handle are sensitive in nature. • Every case begins with a free initial consultation. The founder of our law office, Mr. Piper, is a husband and father. He knows how even the most seemingly simple case could have a meaningful and lasting effect on relationships. Time and again, he collaborates with clients to develop a sound strategy for returning favorable results in a timely fashion. To best accommodate those we serve, Brian S. Piper CO., LPA, accepts credit cards.